We provide professional nursing care 24 hours a day, 7 days a week as you would expect, but because your life choices matter, we offer so much more. External professional services are provided through consultation and on an individual needs basis. Professionally qualified physiotherapists provide services to our residents to develop programmes to maintain and restore maximum functional ability. 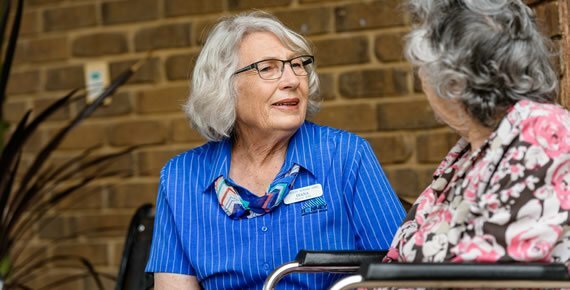 All residents are assessed and monitored by physiotherapists and clear directions are given to staff to ensure the residents safety and mobility needs are optimal and consistent. 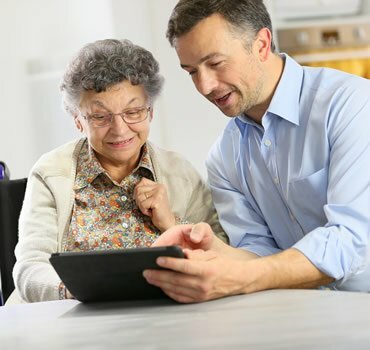 Residents functional ability and care requirements are evaluated on a regular basis and changes are reflected in their care plan. The residents also have the opportunity to bring in their own physiotherapist or to participate in private physiotherapy sessions at their own expense. Free counselling services are provided to residents, relatives and staff, by fully qualified Social Workers, employed by the organisation. The types of services social work provides include: counselling, loss and grief, transition to aged care, public trustee, guardianship orders, communication difficulties, understanding of behaviours, liaising between health professionals and families, family conflict, drug and alcohol issues, case conferencing, mediation, financial assistance, links to community groups/services, advocacy and support. A crisis service is available 24 hours a day, dependent on needs. 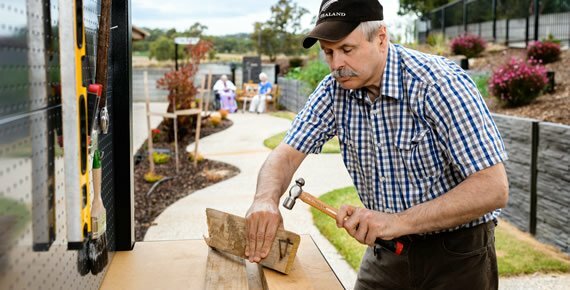 The Lifestyle team are dedicated to assisting residents with particular interests, to come together and create regular activities, including Beer Making (at Hahndorf), outings, low vision and stroke support groups, reminiscence, concerts and a diversity of Cultural Activities. Lifestyle staff take a comprehensive history of the resident, shortly after admission, to ensure that activities are designed and tailored to the individual resident’s interests, needs and abilities. The history also enables the relationship development, as well as to acknowledge each resident as a unique human being. The activities enable residents to maintain and further develop interpersonal skills and mental capacity whilst having fun. Participation in activities is voluntary, however encouraged, and for those who choose to remain in their rooms, staff actively provide one on one emotional support. Good nutrition and hydration are essential to the well being of our residents. Infinite Aged Care employ a fully qualified Chef as its Catering Supervisor to develop and oversee the quality of our menus, created with fresh produce and ingredients at all five sites. These menus are reviewed on an annual basis by a Dietician. Every effort is made to meet the expectations of our residents. The Catering Supervisor frequently meets with residents and relatives to discuss dietary requests and needs, including gluten free diets, soft diets, vitamised diets, diabetic diets etc. Residents are involved in the menu planning for each site on an ongoing basis. 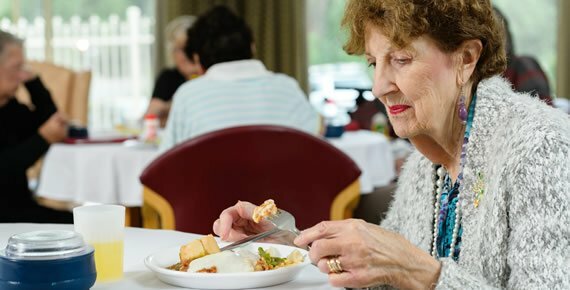 Residents are provided with breakfast, morning tea, lunch – as their main meal, afternoon tea, dinner and supper. An alternative menu is available each day, upon request. Complimentary laundry services are provided onsite for all items of clothing and linen, excluding special items that require dry cleaning. Labelling of garments is a requirement upon entering the facility to ensure clothing is able to able to be identified correctly. 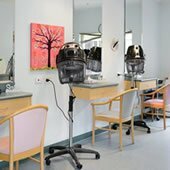 Hairdressing services are provided onsite to men and women. Services include cut, blowdry, perm, colour, personal grooming etc. Prices are available on request. There is a wide group of local Medical Practitioners who consult at each of the three sites. If a current medical practitioner is not available to offer services at the facility, a list of local medical practitioners, is provided on admission for the resident to access. The Director of Nursing supports residents in their choice of medical practitioner. Each facility liases with other external professional services, in consultation with residents and their representatives, to access additional services. When possible these services can be provided onsite. However, access cab or private transport can be arranged for external appointments. External services may include: Medical Specialists; Dentists; Speech Pathologists; Audiologists; Optometrists; Dieticians; Occupational Therapists; and Complimentary Therapists.